2SER 107.3 FM - Jointly owned by Macquarie University and the University of Technology, Sydney. Underground music, contemporary arts, political activism. 7th Avenue Project - A weekly radio show for the seriously curious. Interviews and features on science, philosophy, art, writing, music, culture, comedy and real-life stories. The show airs every Tuesday at 7 PM and Saturday at 6 AM (PST) on NPR affiliate Central Coast Public Radio. 360 Documentaries - Radio features and documentaries from Australia and around the world. A-Infos Radio Project - Formed in 1996 by grassroots broadcasters, free radio journalists and cyber-activists to provide the means to share radio programs via the Internet. ABC Newscastle - Australian station a provides a mix of news, information, music, comedy and sport. Against the Grain - A radio and web media project whose aim is to provide in-depth analysis and commentary on political, economic, social and cultural matters important to progressive and radical thinking and activism. Based at the studios of Pacifica station KPFA-FM in Berkeley, California. Against the Grain is co-produced and co-hosted by Sasha Lilley and C.S. Soong. All Things Considered - National Public Radio news and public affairs programming. Alternative Radio (AR) - A weekly one-hour public affairs program offered free to all public radio stations in the U.S., Canada, Europe, South Africa, Australia, and on short-wave on Radio for Peace International. AR provides information, analyses, and views that are ignored or distorted in most media. American Public Media - The second largest producer and distributor of public radio programming and the largest owner and operator of public radio stations in the U.S. Learn more about American Public Media programs. American Radio Works - Documentary journalism on public radio and the net. A documentary project of Minnesota Public Radio and NPR News. As It Happens - Using an old-fashioned rotary-dial telephone, William Ronald, Harry Brown, and their colleagues hold a 5 1/2 hour conversation every night with newsmakers, politicians and characters across Canada and around the world. Asia Pacific Forum - Progressive pan-Asian radio show broadcast every Monday night from 9-10pm on WBAI 99.5 FM in New York City and live on the web. Audible - Destination for the widest selection of digital audiobooks available for download. Australian Broadcasting Corporation's Radio National - Latest in science, books and publishing, religion, social history, the arts and current affairs. B92 - Internet, radio and TV: the latest news from Serbia and Montenegro. Behind the News with Doug Henwood - From KPFK 94.1 FM. Covers the worlds of economics and politics and their complex interactions, from the local to the global. Being - Conversations about belief, meaning, ethics and ideas. American Public Media program hosted by journalist and theologian Krista Tippett. Between the Lines - Weekly radio newsmagazine from listener-supported WPKN Radio in Bridgeport, Connecticut. Beyond Organic Radio Show (Archive 2003-2006) - Environmental radio and multimedia program, addressing issues of organic food and farming, social and environmental sustainability. Covers timely issues and trends, with guests ranging from award-winning author Michael Pollan ('Botany of Desire') and Secretary of Agriculture Dan Glickman, to organic farmers and sustainable seafood specialists. Beyond Organic covers diverse-yet-interconnected issues including genetic engineering, Mad Cow Disease, dead zones, health, nutrition, Slow Food, cooking, gardening, Fair Trade and international trade policy. Black Eagle, The (Joe Madison) - Madison is a human and civil rights activist, abolitionist against slavery in Africa, television commentator, columnist, lecturer, labor and corporate spokesman, musician and athlete. Black Liberation Radio - A small unlicensed pirate radio station in Decatur, Illinois has courageously exposed police brutality, official misconduct, and government attacks on the black community. Black Op Radio - Dealing with political conspiracy, the JFK Assassination, a few rare old Mae Brussell radio shows, etc. Hosted by Len Osanic and Anita Langley. Block Report Radio - "The people's voice on the airwaves and the Internet." Bloomberg Radio - Syndicated through more than 100 affiliates worldwide, Bloomberg Radio reports business and financial news that moves the markets. Breakfast Club (105.1 FM New York) - Interviews, hip-hop and R&B. Broadcastify - The radio communications industry's largest platform for streaming live audio for public safety, aircraft, rail, and marine related communications, a collaborative solution for collecting and disseminating radio communications data for public safety and hobbyist users. BRS Web-Radio - Gateway to radio stations on the web: Internet Radio, Radio Stations, Internet Radio Stations, Web Radio, Online Radio Stations, AM/FM Radio Stations, Live Radio Stations, and more. 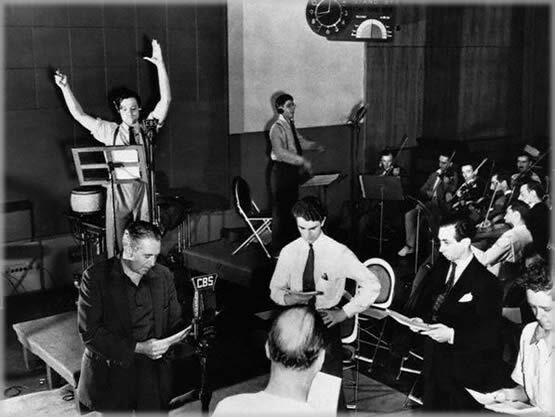 California Artists Radio Theatre (CART) - Radio drama and spoken word. CART programs have been heard by public audiences on Los Angeles radio stations KUSC, KPCC, and KPFK, and one hundred were broadcast on NPR and public radio for twelve years. Internationally, CART contracted with World Space to send 40 hours of programming to Africa, South America, and Asia. CART productions can currently be heard around the world on SiriusXM Satellite Radio on Channel 80: Books and Drama. California Legacy Project - Co-produced with Public Radio Station KAZU 90.3 FM, Pacific Grove - offers listeners compact but compelling dramatic readings of great California writing. California Report - From KQED. Provides daily coverage of issues, trends, and public policy decisions affecting California. Cambridge Forum - Live public forums for the discussion of the issues and ideas that shape our lives held Wednesday evenings in Harvard Square in Cambridge, Massachusetts. Cambridge is home to both Harvard University and the Massachusetts Institute of Technology as well as other educational and scientific institutions that help to attract important speakers to the Forum. Capitol Public Radio - Classical music, jazz, news and public affairs programming each week on one of Capital Public Radio's 7 stations serving California's Central Valley and the Sierra Nevada. Car Talk - Car advice and puzzlers from Tom and Ray Magliozzi (aka Click and Clack The Tappet Brothers). CBC.ca Radio - Canadian Radio 1, Radio 2, Radio 3. CBC Archives - Features hundreds of radio and television clips from the archives of the Canadian Broadcasting Corporation. Chicago's Progressive Talk - Liberal talk radio and one of the last independently owned radio stations in the country. City Arts and Lectures - Since 1980, San Francisco-based non-profit City Arts & Lectures has offered unique programs with leading figures in arts and ideas. Each year there are more than fifty lectures and onstage conversations - and a few surprise performances, film tributes, and concerts - with outstanding writers, critics, scientists, performing artists, and cultural figures from around the world. Most City Arts & Lectures programs can be heard in edited and delayed broadcasts in the San Francisco Bay Area on KQED-FM (88.5) on Sundays at 1 pm, Tuesday evenings at 8 pm, and Wednesday mornings at 2 am. These programs are also heard on over 170 public radio stations around the country. Clearing the Fog - Kevin Zeese and Margaret Flowers: Health reform, drug policy, economic and social issues, environmental justice, peace, economic justice, criminal law reform. Connection, The (Library Archive) - Street-smart conversations: From politics to literature, religion to science, and music to medicine, The Connection approaches each with a modern edge. CounterSpin - The news behind the headlines, a radio program of Fairness and Accuracy in Reporting (FAIR). Democratic Talk Radio - Spreading the message of the Democratic Party. Democracy Now! - Radio programming focusing on issues that demand attention, from the relationship of citizens to their government to the economic realities of declining wages and standards of living for the vast majority of Americans; from the role of money in campaigns to the impact of new technologies on politics and the media. Co-hosted by Amy Goodman and Juan Gonzalez. Doug Henwood's Radio Archives - Left Business Observer (LBO) editor Doug Henwood does a radio show on WBAI, New York, covering economics and politics. It's on most Thursdays, 5-6 PM NYC time. WBAI is at 99.5 on the FM dial - and also on the web. And, starting January 26, 2008, it's being rebroadcast on KPFA, 94.1 FM Berkeley, Saturday mornings at 10. Here are the archived shows, as well as some individual interviews. DW (Deutsche Welle) - Germany's international broadcasting service. Edge of Sports Radio - With David Zirin: where sports and politics collide. Engines of Our Ingenuity, The - Written and hosted by John Lienhard and KUHF-FM, Houston. The program uses the record of history to reveal the way art, technology, and ideas have shaped us. Episode topics range from cable cars to Civil War submarines, from the connection between Romantic poets and Victorian science to the invention of the bar code. Equal Time Radio - Where Vermonters talk about issues ignored by the corporate media-mothers opposing toxic pollution, workers fighting for decent jobs, nurses working for health care reform, students speaking out about their education, farmers struggling against corporate agribusiness, and more. Etown - Weekly radio broadcast heard on NPR radio stations featuring diverse music and interviews with a wide variety of authors, poets and policy-makers. Expert Witness Radio Show - Featuring whistleblowers, ex-law enforcement professionals, former and current military personnel, covert agents, political leaders, authors, filmmakers and many, many more. Federal News Radio - Government News, U.S. News, World News, Mike Causey's Federal Report, National Security Files, Federal Case File, Pentagon Report, Today on the Hill, Government Works, Outlook on Capitol Hill, FEDtalk, AFCEA Technology Focus, Fed Resources, Eye on Federal Families, Fed Tech Talks, Government Guide, NITAAC Hour, Technology, Daily Defense News Capsules from Periscope. FedNet - FedNet - Broadcast coverage of U.S. Congressional Hearings, Floor Debates, White House briefings, Regulatory hearings, Press conferences. Fight Back, The - Reporting from the streets of the District of Columbia. Flashpoints - Hard hitting investigative news magazine and home of Flashpoints Radio with Dennis Bernstein. For the Record - Anti-fascist researcher & radio personality Dave Emory. FRED (Film Radio Entertainment & Dialogue) - A multi-channel internet radio station targeted at all those who love independent cinema and gravitate around the world of film festivals: filmmakers, film critics, journalists specializing in cinema, film students, festival organizers and film industry workers (producers, distributors, sales agents, etc), and simply film buffs who want to know more about independent cinema. Free Radio Santa Cruz - 24/7 advocates of direct action and civil disobedience in defense of free speech. Music news and culture; updates from the grass roots revolution. Free Speech Radio News - Freelance reporters (or "stringers") who file stories from across the Americas, Europe and Asia. Freethought Radio - For conservative atheists and agnostics, freethinkers, skeptics, liberals, brights, humanists, naturalists, and religious historians. Fresh Air - National Public Radio (NPR) program featuring Terry Gross' interviews with cultural and entertainment figures, as well as experts on current affairs and news. Harry Shearer - Shearer writes the sketches, performs all the voices, and romps through the worlds of media, politics, sports and show business while providing an eclectic array of music in his radio program Le Show. Head On Radio Network (The Horn) - Liberal radio. Listen to Head on Radio with Bob Kincaid. Hearing Voices - Hearing Voices from NPR is an hour of The Best of Public Radio: a sixty-minute stream of 'driveway moments' connected by a weekly theme, with the help of a guest host. Hightower Radio - The brainchild of Jim Hightower, a Texan and populist who believes that to move America from greed to greatness, we must fuel the power and the passion of our nation's workaday majority. If You Love This Planet - A weekly radio program with Dr. Helen Caldicott providing in-depth discussion about urgent planetary survival issues such as global warming, nuclear weapons, nuclear power, deforestation, toxic pollution, ozone depletion, hunger and poverty, and species extinction. Independent Media Center (Indymedia) - Indymedia is a collective of independent media organizations and hundreds of journalists offering grassroots, non-corporate coverage. Inside City Hall - New York City's political news and opinion show broadcast live from 7:00 to 8:00 p.m. every weeknight. Internet Archive: News and Public Affairs - Alternative independent radio news programming is featured here. In addition to a host of intriguing radio news shows, this collection features the Presidential Recordings collection of historical speeches and secret recordings. Jim Hightower - Populist commentator. Jon Wiener: On the Radio - Radio host 4:00-5:00 pm Wednesdays on KPFK 90.7 FM in L.A., 89.3 in Santa Barbara, streaming live. KALW 91.7 - Local public radio from the San Francisco Bay Area. BBC, NPR, and innovative local programming including Crosscurrents and Your Call. KALX Radio Berkeley, California - Berkeley's community and student radio station, licensed to the University of California. Dedicated to presenting an eclectic variety of music and informational programming. KBOO 90.7FM - Portland, OR. News and public affairs programming and arts, cultural, and musical programming. KCRW - A community service of Santa Monica College. Eclectic schedule of news, locally and nationally produced music, public affairs, political analysis and cultural programs. KERA - North Texas National Public Radio. KFAI 90.3 FM Minneapolis and 106.7 St. Paul - Radio with no boundaries. KFCF 88.1FM - Free speech radio for Central California. KGO Newstalk 810 AM - San Francisco. Killradio - Anti-corporate Internet radio, Los Angeles. Kol Israel international - Offered in 14 languages via Israel Broadcasting Authority. Presents Israeli point of view in daily news and programs focusing on political, social, educational, economic, technological, and cultural issues. KOOP Radio 91.7 FM - Provides high quality, innovative, and diverse community-oriented programming to Austin, Texas. KPAM 860 - News, talk, sports -(Oregon). KPFA 94.1FM - Berkeley, California - Part of the Pacifica Network. Much of KPFA programming is local, original and eclectic, with a well-produced mix of news and in-depth public affairs, ongoing drama, music, literature and performance series, interviews, and reviews. Also see: Archives and Playlists, Area 941 (podcasts); Programs, and Schedule. KPFK 90.7 FM- Pacifica radio for Southern California. Also visit KPFK Radio Listener Connection for additional resources. KPIG Radio Online - Well-seasoned in the art and craft of "progressive" radio, the KPIG crew is based in Freedom, California - near Santa Cruz. KQED - Public broadcasting for Northern California. KQED Education - Serves teachers, childcare providers, parents, and the community through interactive workshops, events, learning activities and lesson plans, online and in print. KRFP 92.5FM - Moscow, Idaho. Dedicated to the progressive values of peace, justice, democracy, human rights, multiculturalism, environmentalism, freedom of expression, and social change. Broadcasting news and opinions, civic affairs, diverse music and other programming seldom heard from mainstream media outlets. KUNSTRADIO (Vienna, Austria) - Artworks for radio and WWW on air and on line. KZSU 90.1 FM - Stanford University radio station. Besides DJs' music shows, KZSU has a live music show, Wednesday Night Live, public affairs programming (including public service announcements), live broadcasts of important Stanford events, the weekly Palo Alto City Council (Monday nights), and other specials. Law and Disorder Radio - A weekly, independent radio program airing on several stations across the United States and podcasting on the web. Law and Disorder gives listeners access to rare legal perspectives on issues concerning civil liberties, privacy, right to dissent and the horrendous practices of torture exercised by the U.S. government. This program examines the political forces and legislation that are moving the United States into a police state. Liberal Talk Radio - A directory of liberal talk radio hosts, times and stations that are carried over the Internet. Living on Earth - Living on Earth with Steve Curwood is the weekly environmental news and information program distributed by National Public Radio. Living Room on KPFA - Monday-Friday hour on politics, society and ideas. Hosted by Kris Welch. Loud and Clear - News, commentary and political analysis on all the most recent events from around the globe with Brian Becker. Marc Steiner Show - Looks beyond day-to-day political discussions to the cultural and human forces that drive us. Includes voices from all sides, even voices that other media outlets ignore - such as the working poor, prisoners, and at-risk youth, in the interest of catalyzing real solutions. Making Contact/National Radio Project - International radio program committed to investigative journalism and in-depth critical analysis that goes beyond the breaking news. Marketplace - Daily business, economic, personal finance, Wall Street and world news from American Public Media radio. Matthew Filipowicz Show - Liberal news, talk, comedy. Meria Heller - Spiritual therapist, Usui Reiki master, natural healer. Red pill journalism. Michio Kaku - Dr. Michio Kaku is an internationally recognized authority in theoretical physics and also the environment. He hosts two weekly radio programs heard on stations around the country: Science Fantastic and Explorations in Science. Minnesota Public Radio (MPR) - One of the premier public radio stations in the U.S., producing programming for radio, Internet and face-to-face audiences. With its three services - News & Information Service, Classical Music Service and The Current. Moth, The - Dedicated to the art and craft of storytelling. Each show starts with a theme, and the storytellers explore it, often in unexpected ways. Since each story is true and every voice authentic, the shows dance between documentary and theater, creating a unique, intimate, and often enlightening experience for the audience. The Moth has presented over 18,000 stories to standing-room-only crowds worldwide and it currently produces more than 500 live shows each year. Mumia Abu-Jamal - Index of Mumia Abu-Jamal's recorded essays. Nation, The: Audio - Audio clips provided by The Nation magazine: political conversations, interviews, commentary. National Press Club - The National Press Club hosts more heads of state and government than any other forum in the world outside the Oval Office. National Public Radio provides live Webcasts of these high-level decision makers. All Things Considered - Hosts include Noah Adams, Robert Siegel, and Linda Wertheimer. Morning Edition - Search abstracts, then listen to programs online. NPR Online - News Now, On the Air, Inside NPR, Your Stations, Discussion. National Radio Project (NRP) - Heightens public consciousness, broadens public debate on critical social issues, and encourages civic participation by giving voice to diverse perspectives and opinions not typically heard on mass media. NRP achieves this by producing and distributing high quality public affairs and news programs, and by training and supporting independent journalists and individuals involved in community building activities. NPR: National Public Radio or National Propaganda Radio? Talk of the Nation - Host Juan Williams joins guests, regular contributors, and listeners in a discussion of the issues of the day. New Dimensions - Dedicated to presenting a diversity of views from many traditions and cultures, and strives to impart practical knowledge and perennial wisdom. Co-hosted by Michael and Justine Toms. New Dimensions World Broadcasting Network - An independent producer of broadcast dialogues and other quality programming. No Lies Radio - An alternative media project of the No Lies Foundation, a California non-profit public benefit corporation. On Being - Conversation about religion, meaning, ethics, and ideas. Hosted by Krista Tippett. On Point - WBUR Boston's live morning news program that covers each day's important news developments and conducts conversations with newsmakers and thinkers from around the world. On the Media: This Week - Covers media industry news and issues weekly. From NPR, the show tries to lift the veil from the process of "making media," especially news media. Oxygen - Online, on-air network for women, by women. Portland Indymedia Web Radio - Live stream. Portland Indymedia is an IMC for the southern Cascadia region of Turtle Island (an area temporarily demarcated as "Oregon" and southern "Washington" on some maps). PRI's The World - Daily international news magazine. Prison Radio - Challenging mass incarceration and racism by airing the voices of men and women in prison. A project of the Redwood Justice Fund. Progressive Radio Network (PRN) - A non-commercial Internet based radio station dedicated to disseminating information and commentary on health, diet, exercise, public affairs, politics and the environment. News programs focus on U.S. wars, human and civil rights, free speech, social justice and labor issues. Talk show topics include women's issues, business, science, philosophy, religion, ethics, veterans affairs. Public Radio International (PRI) - Public Radio International offers more than 400 hours of weekly news, classical music, and cultural programming. Public Radio Remix - An experimental radio stream for public radio that presents curated, smart, creative spoken-word programs, podcasts, ideas, interviews, found tape and intriguing sounds. Quirks and Quarks - Award-winning radio science program of the Canadian Broadcasting Corporation. Examines the political, social, environmental and ethical implications of new developments in science and technology. Presents the people behind the latest discoveries in the physical and natural sciences. Radio 4 All - Connects you to the movement to reclaim the airwaves: free radio, micropower broadcasting, pirate radio, pacifica radio, community radio. Radio and TV Marti (U.S. Office of Cuba Broadcasting) - State-sponsored anti-Castro U.S. propaganda. Radio B92 - A leading source of objective reporting from Yugoslavia. Radio Canada International - CBC/Radio-Canada's multilingual website. Radio Days - Experience the history and sounds from the 30's, 40's, and 50's of old time radio. Radio Directory - Comprehensive directory of radio stations on the web. Radio For Peace International (RFPI) - Global messenger of peace. Programs champion human rights; increase global awareness; promote tolerance; inform and educate isolated populations; equip listeners to become architects of peace; expose prejudice, hatred, and injustice; celebrate diverse cultures; and advocate environmental awareness. Radio Free Asia - Broadcasts in Tibetan, Cantonese, Uyghur, Burmese, Vietnamese, Lao, Khmer (to Cambodia) and Korean (to North Korea). This Web site will bring you material in all of these languages. Private corporation with funding voted by the U.S. Congress and then funneled to RFA by the Broadcasting Board of Governors, which oversees all U.S. international broadcasters. Radio Havana Cuba - Cuban news and information. Radio Lackey International - Haitian radio station in Brooklyn, NY. Political analysis on Haiti, USA, and abroad. Radio Netherlands - Broadcasts news radio programmes and publishes Internet pages in six languages over its own facilities: Dutch, English, Spanish, Portuguese, Indonesian and Papiamento. Radio New Zealand International (RNZI) - Provides a comprehensive Pacific news service with the very latest Pacific stories and an extensive online news archive. Also available are podcasts, a live audio feed and on-demand news and programmes. Radio Soleil D'Haiti - Haitian radio station in New York. Radio Times - BBC guide to radio, TV, and film. Radio Unnameable - The original free-form radio: musings and music, call-ins and conversation. Hosted by: Bob Fass and Bill Propp, WBAI in NYC. RadioForChange - Forum for progressive news, talk and alternative views. Listen to radio that matters over the Internet wherever you might be. Tune in to intelligent news and talk radio. RadioFranceInternationale - RFI's English service. RadioLab - Where sound illuminates ideas, and the boundaries blur between science, philosophy, and human experience. RadioLabour - Bringing labour's voices to the world. Randi Rhodes Show - Progressive talk radio show. Ralph Nader Radio Hour - A weekly talk show broadcast on the Pacifica Radio Network. Ralph Nader is joined by co-hosts Steve Skrovan and David Feldman for an hour of interviews with influential movers and shakers, and thought provoking discussions of the week's news. Also see KPFA page. Re:sound - Hear intriguing radio stories culled from around the world ranging from personal narratives to investigative documentaries, experimental sound art to humorous essays. Reality Radio - Progressive radio from EconomicDemocracy.org. Redeye 102.7 FM - A 3-hour radio program broadcast live every Saturday morning on Vancouver Cooperative Radio. It is produced by an independent media collective at the studios of Coop Radio in Vancouver's downtown eastside. The show has been on the air for over 30 years, providing high-quality public affairs and arts programming to listeners looking for a progressive take on current events. RFI - A public service radio station for people around the world. It is the leading French radio for round-the clock international news. It provides French and foreign-language broadcasts through its offices in Paris and abroad. Rick Smith Show - progressive talk. Ring of Fire Radio - Robert F. Kennedy Jr. and Mike Papantonio comment on voting, civil rights, and progressive democratic politics. Rising Up with Sonali - An all-women run radio show that brings progressive news coverage rooted in gender and racial justice to a wide audience. Airs on Pacifica stations KPFA and KPFK, and several affiliate stations. Hosted by Sonali Kolhatkar. Russia Project, The - Two one hour public radio documentaries and Web site depicting the lives of ordinary Russians and the challenges facing Russia ten years after the fall of the Soviet Union. From KQED. Includes transcripts. Real World Radio (RWR) - A multilingual radio on the web, functioning in the auspices of the communication area of the environmentalist group Friends of the Earth International (FoEI). One of RWR's main goals is to create a space where community radios in the Americas and the world exchange productions on sustainability and environmental issues. Rising up with Sonali - An all-women run radio and television show that brings progressive news coverage rooted in gender and racial justice to a wide audience. Sonali Kolhatkar is the host. Also see KPFA's page. San Francisco Liberation Radio 93.7 FM - A micro radio station serving San Francisco neighborhoods to the north and east of Twin Peaks, including western Oakland and Berkeley, and worldwide via the Internet. Says You - Hyperliterate quiz show. A game of words and whimsey, bluff and bluster brought to you by National Public Radio. Scheer Intelligence - Features thoughtful and provocative conversations with "American Originals" -- people who, through a lifetime of engagement with political issues, offer unique and often surprising perspectives on the day's most important issues. Hosted by Robert Scheer. Science Friday - Weekly radio program in association with NPR member station WNYC/New York. Hosted by Ira Flatow. Smiley & West - From Public Radio International (PRI). An energetic radio program that is a fusion of thought provoking, intelligent and stimulating dialogue on every subject from news and politics to entertainment and culture. Also see Smiley & West Show Transcripts. Smoking Politics - How the right wing is stealing elections, destroying our country, laughing all the way to the bank. Sound Portrait - Sound Portraits's radio documentaries (broadcast on National Public Radio's All Things Considered and Weekend Edition Sunday) are audio profiles of men and women surviving in the margins. Told with care and dignity, the work depicts the lives of Americans living in communities often neglected or misunderstood. Soundprint - Award-winning weekly radio documentary. Sputnik International - Radio shows and on-air guests from Sputnik broadcasts. Stephanie Miller Show - A syndicated progressive talk radio program that discusses politics, current events, and pop culture. Studio 360 - The arts and popular culture. SW Radio Africa - Independent radio from Zimbabwe. Takeaway, The - Hosts John Hockenberry and Celeste Headlee invite listeners every morning to learn more and be part of the American conversation on-air and online. The Takeaway is a co-production of PRI (Public Radio International) and WNYC Radio in collaboration with the BBC World Service, The New York Times and WGBH Boston. Taking Aim with Ralph Schoenman and Mya Shone - In addition to Taking Aim, their weekly WBAI-NY broadcast on international resistance to imperialism and the workers' movement in the United States, Ralph Schoenman and Mya Shone provide commentary for Pacifica Radio's national broadcast, the Peace Report. Talkers - A leading trade publication serving the talk radio industry in America. Also see Talker's Heavy Hundred, a listing of the 100 Most Important Radio Talk Show Hosts in America. Tavis Talks - Tavis Smiley's show features substantive and provocative discussions, commentary, exclusive interviews, and reports on everything from politics to pop culture. Tech Nation - In-depth interviews enable Public Radio's TechNation's host Dr. Moira Gunn to speak with innovators who drive technology today, as well as everyday people who must cope in this new high-tech world. Popular business guests range from Amazon.com's Jeff Bezos and Yahoo's Jerry Yang and David Filo, to Intel's Andy Grove and Virgin's Richard Branson. The World - PRI's daily international news magazine. The World can be heard on public radio stations across the USA and online 24 hours a day. ThePowerHour - Radio talk show with Joyce Riley. Current news not covered by mainstream controlled media outlets. This American Life - Stories - some are documentaries, some are fiction, some are something else. Different writers and performers are invited to contribute items based on a theme. This Is Hell - A weekly longform political interview program broadcast across Chicago on WNUR since 1996..
Thom Hartman - Progressive talk show. Time of Useful Consciousness (TUC Radio) - Maria Gilardin produces radio shows on the impact of big corporations on our society. Thom Hartmann Radio Program - Liberal talk radio. To the Best of Our Knowledge - Conversatins with novelists and poets, scientists and software designers, theologians and physicists, composers and filmmakers, historians, naturalists, journalists. Traces of Reality - Radio talk show of libertarian Guillermo Jimenez. Transom - An experiment in channeling new work and voices to public radio through the Internet, for discussing that work, and encouraging more. Transportation Nation - Combines the work of public radio newsrooms and listeners as the way to inform on transportation issues. Partners are: WNYC, WAMU, KUHF, YPR, KALW, WMFE, Marketplace and The Takeaway. TUC Radio - Radio on global trade and great ideas of local resistance to globalization. Produced by Maria Gilardin. TuneIn - Listen to online radio, music and talk stations. Upfront - Produced by Berkeley's KPFA. It delivers a mix of local, state, and international coverage through challenging interviews, civil debates, breaking updates, and in-depth discussions with authors. Vancouver Co-operative Radio - Programming and voices that are not addressed by the mainstream media. Operated by more than 300 volunteers. Non-commercial radio financially supported by its listeners. Vital Options International TeleSupport Cancer Network - Holds a weekly syndicated call-in cancer radio talk show called The Group Room, which provides a forum for patients, long-term survivors, family members, physicians, and therapists to discuss cancer issues. Vocalo - Chicago. Talk, music, politics, news, pop culture. WBAI 99.5FM - New York listener-sponsored radio distinguishing itself in news and public affairs reporting and cultural programming. Also: WBAI Listener. WCOM 103.5 FM - A North Carolina community radio station with a studio in downtown Carrboro and an antenna at Scroggs Elementary School in Southern Village. WCOM is the first low-power FM community radio station in the area to be set up under a program established by the Federal Communications Commission in 2000. Low-power FM is grassroots radio-an effort to counterbalance the increasing concentration of radio ownership by a few large corporations. Music, talk, public affairs, news. We the People with Jerry Brown - Archives and highlights from select radio shows. WERU Community Radio 89.9FM - Blue Hill, ME. Diverse music and cultural programming, alternative news and community-centered public affairs programming. West Coast Live - Radio programming originating in San Francisco with host Sedge Thomson. Music, ideas and humor from a rich mix of musicians, writers and thinkers from the Bay Area and around the past shows. WFMU-FM 91.1 Jersey City, New Jersey - Independent freeform radio. Whad'Ya Know? - Michael Feldman', from Wisconsin Public Radio. White Rose Society - Archiving over 10 million hours of liberal/progressive talk radio. WKSU 89.7FM Radio - National Public Radio (NPR) affiliate licensed to Kent State University, providing classical music, folk music and news. WLUW 88.7 FM - Community oriented, pro-social radio station committed to the Jesuit philosophy of ethical action, whose broadcasts fulfill social justice and service learning initiatives at Loyola University. WMNF 88.5 FM - Tampa Bay, Florida community radio station. WNUR 89.3 FM Chicago - Chicago's sound experiment: news, rock, freeform, jazz, public affairs, sports and more. WNYC Radio 93.9FM (New York) - New York public radio. News and information, music and culture. World in Time, The - Lapham's Quarterly editor Lewis H. Lapham hosts, opening the doors of history behind events in the news. The World In Time features scholars and historians discussing the events of fifty or 500 years ago, not Meet the Press politicos or This Week pundits grappling with the events of last week. Working Assets Radio - Laura Flanders. WORT 89.9 FM - Madison, WI. Listener-sponsored community radio station. WPFW-FM Pacifica - Jazz, Third World music, news and public affairs. Also visit: WPFW Radio Listener Connection for additional resources. WPVM 103.5 FM (Ashville) - Low-power FM radio station broadcasting in Asheville, NC. Workers Independent News Service (WINS) - Assembles news from unions, labor and social justice activists, and community groups from across the country. World Radio Network (WRN) - WRN carries live audio newscast streams 24 hours a day from 30 of the world's leading public and international broadcasters. Writer's Almanac - A daily program of poetry and history hosted by Garrison Keillor, can be heard each day on public radio stations throughout the country. Writers' Block, The - KQED's weekly reading series featuring fiction, poetry, theatre and more. WYNC - WNYC 93.9 FM and AM 820 are New York's flagship public radio stations, broadcasting programs from NPR, American Public Media, Public Radio International and the BBC World Service, as well as a wide range of award-winning local programming. See Schedule. Your Call - Heard weekdays, 10-11 am PT/1-2 pm ET on public radio, KALW, 91.7 FM in San Francisco and on the Internet. This webpage last updated on Monday, January 21, 2019 12:26 PM.